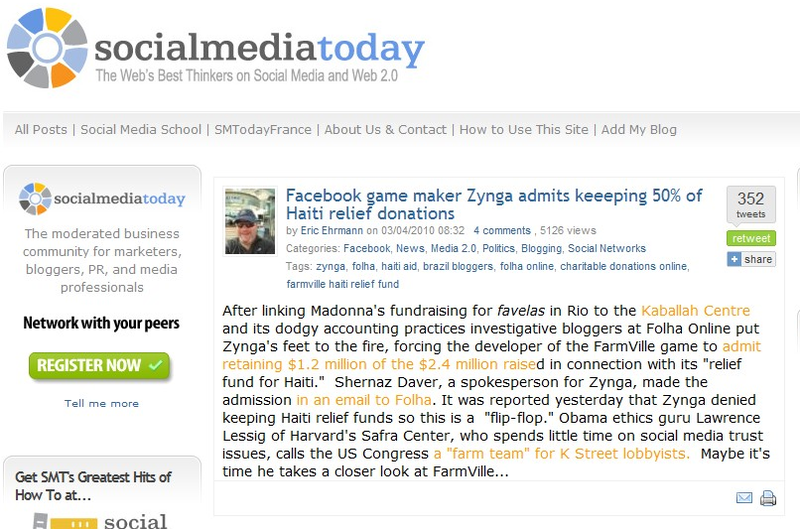 Turns out that big story they’re running over at Valleywag today about Zynga scamming on Haitian children? Social games publisher Zynga has confirmed with us that it did not keep 50 percent of its earthquake relief donations meant for Haiti. The response follows a post from SocialMediaToday this morning (which has since been removed, but you can view a screenshot here) that claimed Zynga kept half of its donations meant to help the earthquake-ravaged country. Zynga tells us that SMT’s source, the Brazilian site Folha Online, confused the post-quake relief campaign with a 2009 funding campaign for Haiti. In that earlier campaign, Farmville players were made aware that 50 percent of their donations would be going towards helping children in Haiti. Zynga raised a total of $2.4 million with that campaign, and Haiti received $1.2 million of that via the organizations FATEM.org and fonkoze.org. After the 7.0-magnitude earthquake hit the country in January, Zynga ran a separate relief campaign which raised $1.5 million over five days. One hundred percent of those proceeds went to the World Food Programme to help Haitian earthquake victims. Are you surprised, though? This is from the same guy who didn’t know Frederic Lardinois was a lead writer at ReadWriteWeb. 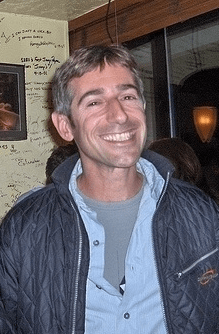 On a slightly related note, there’s this interview I did with Mark Pincus back in 2008.